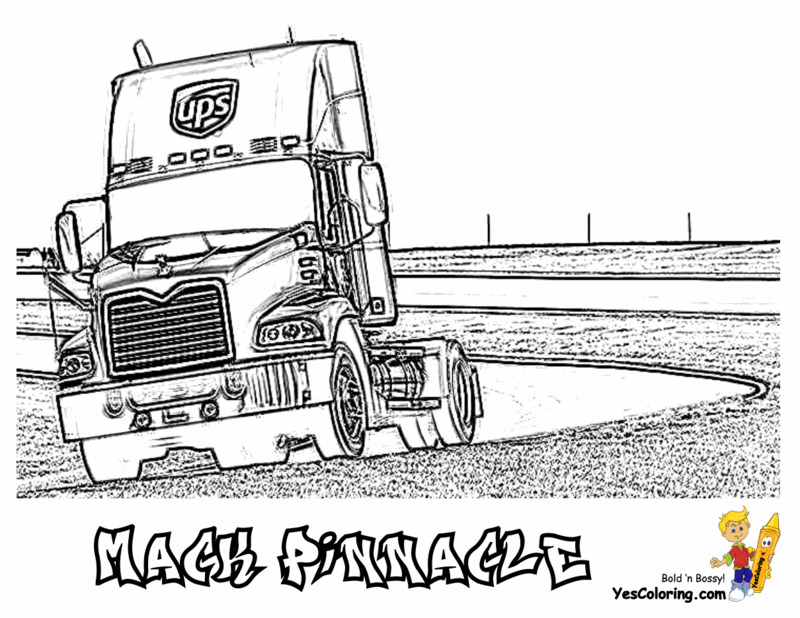 Big Rig Truck Coloring Pages 03! 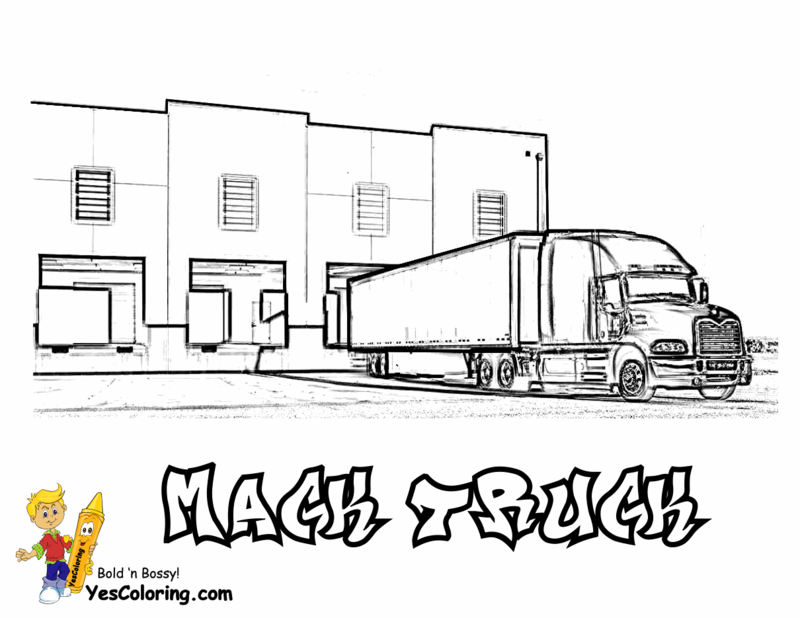 These Hugh 18 Wheeler Truck Coloring Pages Are Ready To Roll! Print Off Famous And Old School Commercial Vehicles Like Long Hauls Mack Trucks, Kenworth and Volvo! "If you bought it, a truck brought it." Today's big 18-wheelers haul twenty plus tons of goods. In the 1770s, steam-powered vehicles hauled five tons of stuff. The first motor truck was a pickup and built in 1896. It had a four-horsepower engine and a belt drive with two forward speeds and one reverse. 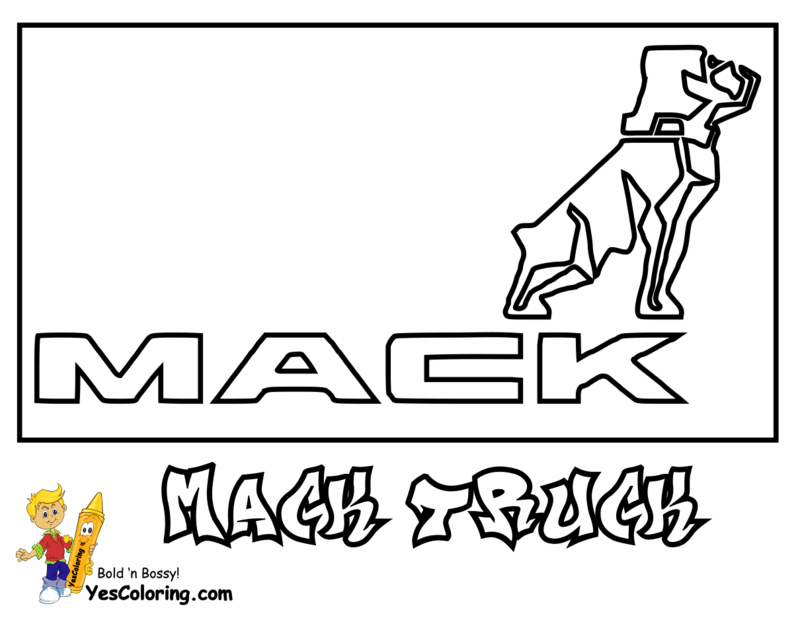 ...Coloring Pages kid, do you know the first Mack was a bus?! It is true. A four-cylinder engine and 3-speed transmission powered it. Sightseers rode on the Mack Bus through Brooklyn New York's Prospect Park. After the tour business, the Mack Bus became a Mack truck. After 17 years, it had one million miles under it. On the East Coast USA, many long haulers prefer Macks. On the West Coast, the truckers prefer Peterbilt, Kenworth, and Freightliner trucks. Truck Insurance. Trucks have protective insurance just like car insurance. Liability insurance coverage protects the truck from damage or injuries to other people. You know - in case of an accident with your Ferrari. Cargo insurance protects the transporter for his responsibility in the event of damaged or lost freight. The driver can pay you if he lost the new Ferrari supercar you ordered. 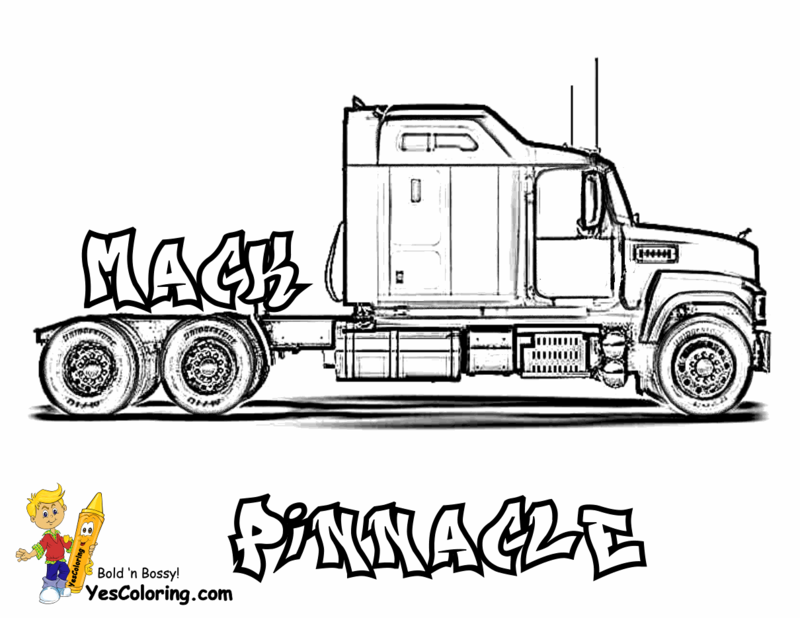 coloring pages boy, trucking is a good profession. It is hard work, but good work. If you know men who handle heavy duty trucks ask how they got started. Listen to their adventure stories. Don't forget to display some of your coloring pages for them.